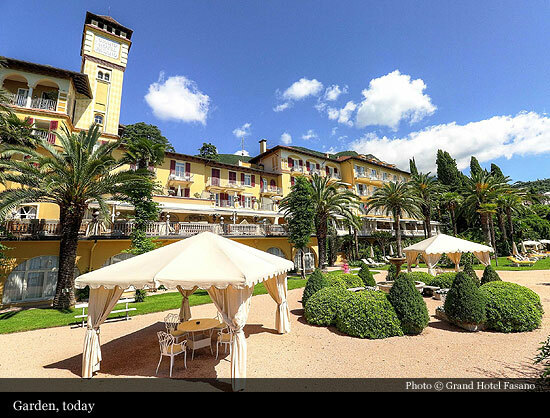 Located on the western shores of Lake Garda, the Grand Hotel Fasano was originally built as a hunting lodge for the Austrian imperial family. 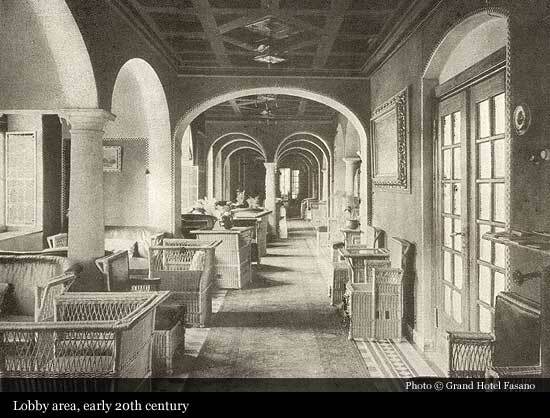 In 1888, the Neo-classical style property was converted into luxury hotel. 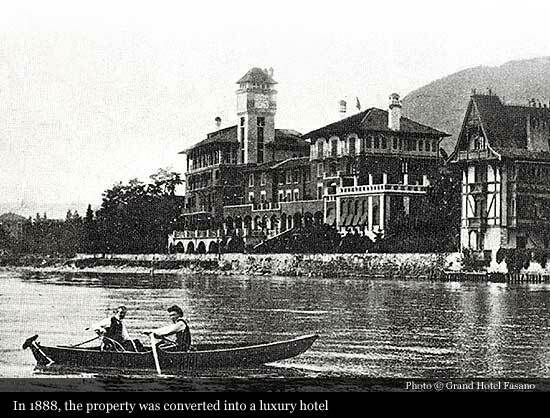 A Grand Hotel for an elite clientele, who were able to enjoy the great innovations of that period - heating and hot water in nearly all of the bedrooms, two bathrooms, á la carte restaurant, an elegant coffee lounge, billiard room, tennis courts, terraces with wonderful and incredible views situated in a park directly on the lake. 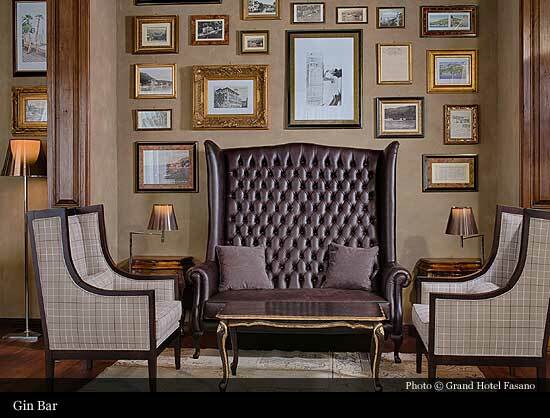 In 1903, following the ever growing number of guests, the Grand Hotel Fasano was expanded. 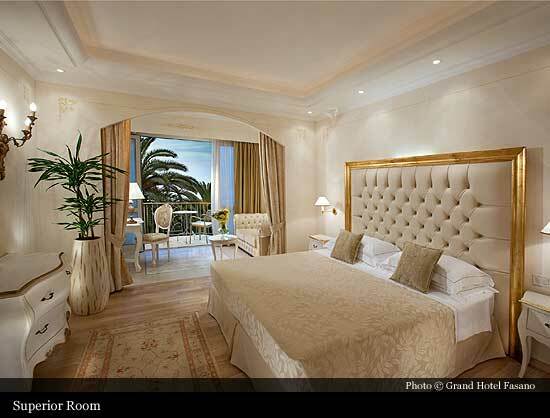 German aristocrats would race to be seen on the Riviera. 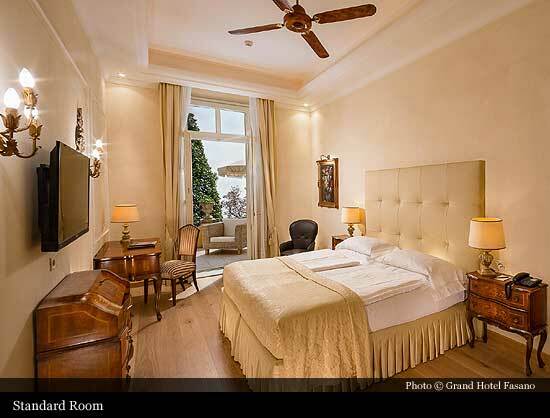 The hotel was easy to reach by train from the main european cities arriving at the stations of Desenzano or Riva, then directly to the hotel by 'vaporetto' (steam boat). 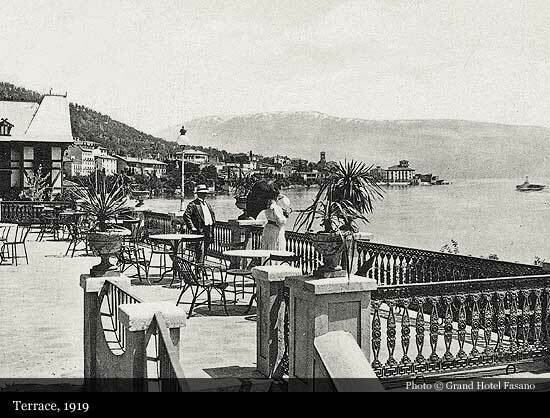 Because of rare copies found of the "Fremdenliste" - a monthly "Gazzettino" from Saló that would publish the list of all who were staying on the Riviera, it is possible to mention many historic characters who visited the Grand Hotel Fasano. The list is long but unfortunately incomplete. Paul Heyse stayed in November 1899 with his wife and servants. 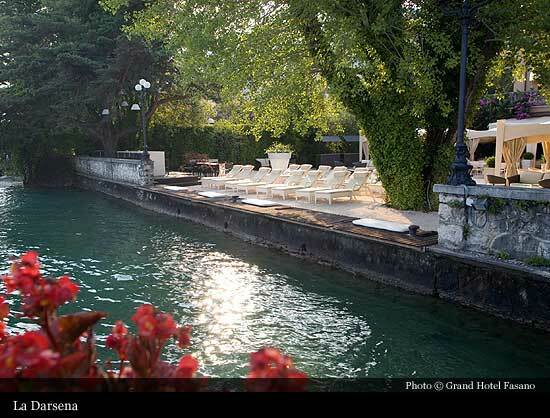 The famous German poet and writer fell in love with Lake Garda and bought a villa in Gardone Riviera (Villa Heyse) where he would spend the next ten winters and write his book "Maria von Magdala". 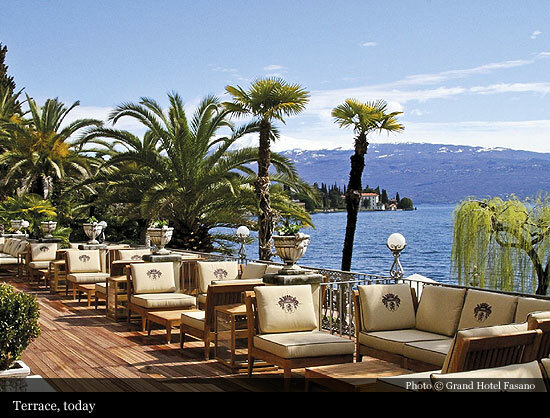 He remained a frequent visitor of the lounges and park of the Grand Hotel Fasano. 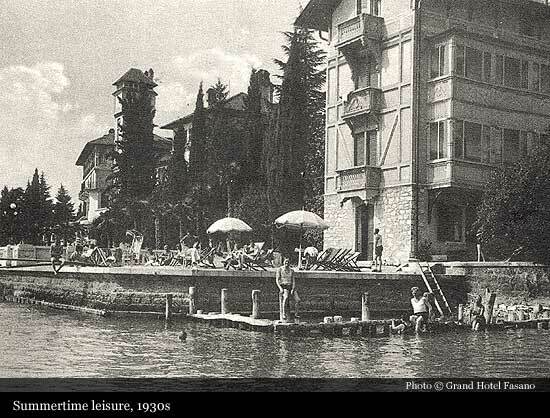 Gustav Klimt visited the hotel in 1913 during his summer on Lake Garda, where he painted two of his masterpieces "Italienische Gartenlandschaft" and "Malcesine am Gardasee". Gabriele D'Annunzio was a great lover of the gardens, of the restaurant and bar, so much so that he left a three page written dedication in the Grand Hotel Fasano's Golden Book. Other distinguished guests followed, Katherine Duchess of Leeds and the Marquis of Carmarthen visited in October 1925, and in March 1930 Prince and Princess Albrecht zu Schaumberg-Lippe. The aristocrats would arrive by steam boat, and would land at the "Landungsbrücke" accompanied by numerous members of staff and friends. Although changing radically over the years the long list of famous people continues into present day. 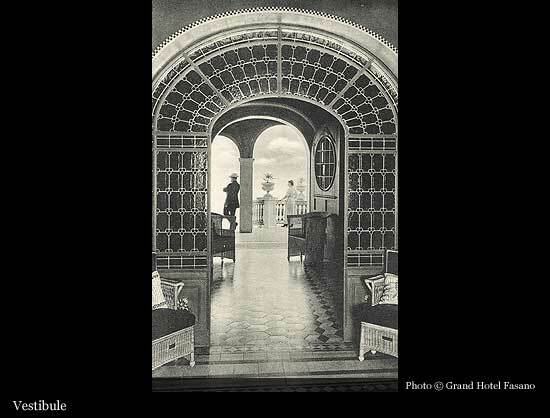 Aristocrats that could be seen in the historical rooms of the hotel would become to be seen less and less, and there would be more of an increase in show business personalities: Shirley Temple, Mastroianni and the great Fellini just to mention a few. 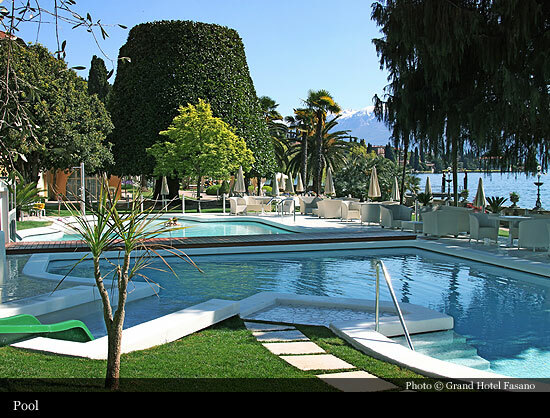 Also numerous sports figures have frequented the Grand Hotel Fasano from Formula one drivers such as Gerhard Berger to footballers such as Franz Beckenbauer or even yachtsmen such as Paul Cayard, who have enjoyed and admired Lake Garda during the month of September for the famous 100 mile nautical regatta 'Cento Miglia'. 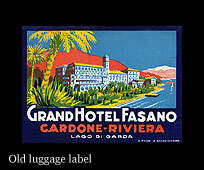 The wars did not leave the Grand Hotel Fasano unharmed and caused serious damage to the hotel. The border where the First World War was fought was only a few kilometers away. 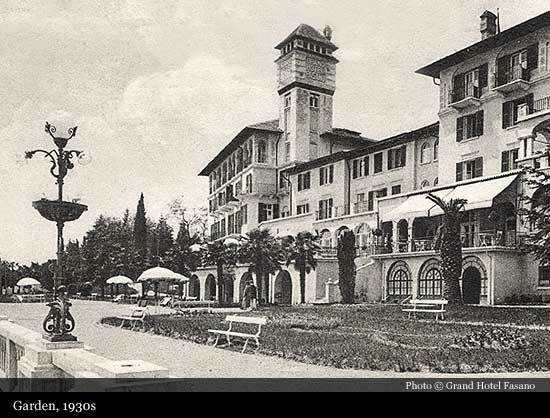 The Grand Hotel Fasano, then owned by the Boem family, was seized as war 'booty' and subsequently managed by the National Combatants Foundation. 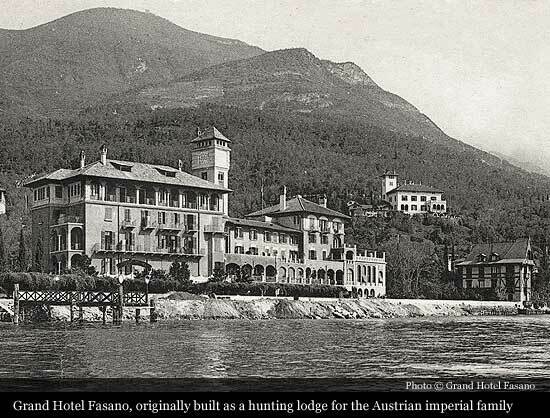 During the Second World War the Grand Hotel Fasano was requisitioned by the Italian Military Hospital, but then later seized by the German High Command who transformed it into a "War hospital". Before the end of the conflict the hotel was requisitioned a further two times, by the American fifth army and then by the English. In a letter for the request of compensation for damages, the director Giuseppe Mayr describes the poor and pitiful state the hotel is in after the war: "Pillaged several times, with just some rather battered pieces of furniture left, the wooden floors torn up and used as firewood for the wood stoves". 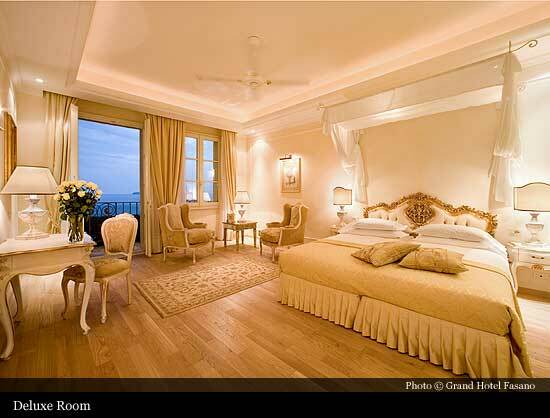 Despite everything, after eight years, the hotel re-opened for the summer season in 1948. The following years brought new challenges. 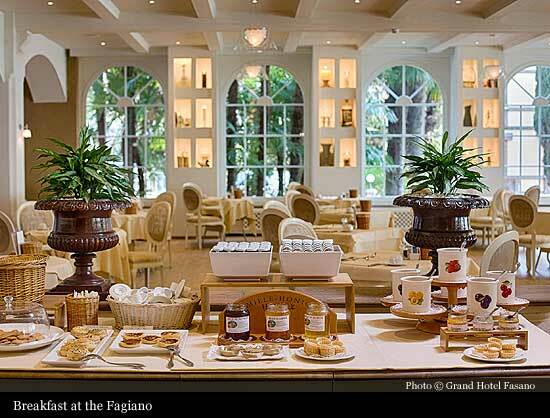 The always more wealthy middle class was the new clientele of the 'Fasano'. 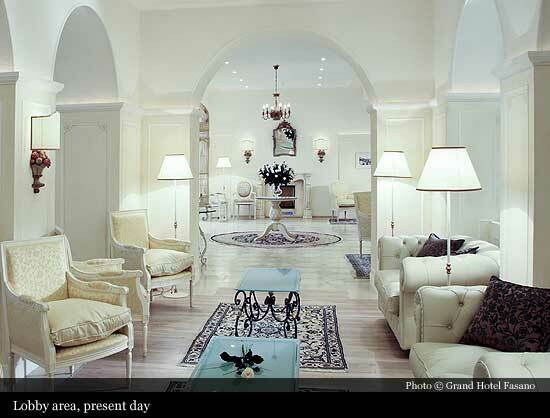 In 1962 the hotel was expanded for the third time and continuous restructuring and renovation made it possible for the Grand Hotel Fasano to become once again a top class hotel. Today the Grand Hotel Fasano is classified as a 5 star luxury hotel, with a large Wellness and Spa area, saunas, indoor and outdoor swimming pools, restaurants and bar. Even today it hasn't lost its charm and moving through the historic rooms one can sense and breathe an atmosphere of times gone by. 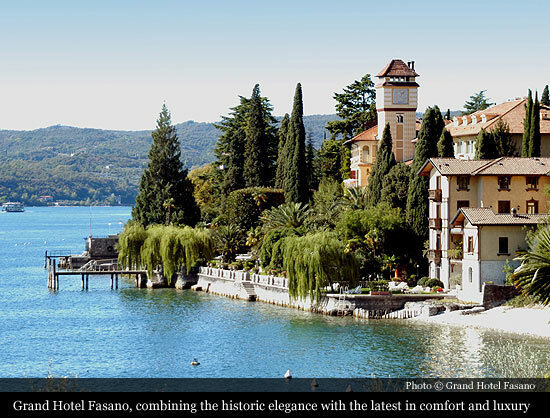 In 1989, the Grand Hotel Fasano was declared a National Heritage by the Ministry of Cultural Heritage.